Prior to his retirement in 2011, Mr. Webb was on the U.S. Government team which was geared towards investigating and prosecuting transnational, as well as domestic trafficking and poaching. Between 1978 and 2011, Mr. Webb fulfilled various roles including actively advising investigators in the U.S. Fish and Wildlife Service, Office and Law Enforcement at the Department of the Interior and writing enforcement regulations, then for a quarter century at the Department of Justice personally prosecuting or assisting other federal prosecutors to successfully prosecute hundreds of wildlife cases nationwide. Moreover, Mr. Webb developed innovative techniques and theories for prosecuting wildlife traffickers during his tenure, first in the Wildlife and Marine Resources Section, then later in the Environmental Crimes Section. Contributions by Mr. Webb in collaboration with the U.S. 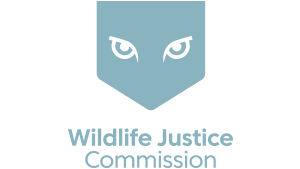 Sentencing Commission led to Sentencing Guidelines for wildlife offenses in effect for decades stiffening criminal penalties for convicted traffickers.